My 19th week in Amy Johnson Crow’s “52 Ancestors in 52 Weeks” family history blogging challenge. I’m closing the gap at just 4 weeks behind in this series (the challenge just wrapped up week 22). I initially blamed my tardiness on being super busy at home, work, and with my volunteer work. However, the extended lapse can be blamed on the recent diagnosis of some critical health issues that had wiped me out for a while (you can read about that on my food blog). My beautiful Grandma (left), and a good friend. My 19th ancestor is my grandmother Elsie Charlotte HAYES (1926-1992). I have written about Grandma before, but not as part of my 52 Ancestors series. What inspired me to write this post is graduation season. Elsie may be my only grandparent to graduate from high school. I know that her husband Michael John FLANAGAN (1927-1997), a poor orphan, never graduated, and joined the Navy at just 17 years old. My other grandfather Benjamin ROBLEDO (1919-1990), born to poor immigrants, did not graduate either. Both grandfathers’ naval records confirm this. And while I do not have any proof that my long-lost grandmother Rosie SALAS (1923-?) did not graduate, documents confirming she was raised in a poor migrant farming family make it highly unlikely she would have completed high school either. Elsie attended Berkley High School in Berkley (Oakland County), Michigan. 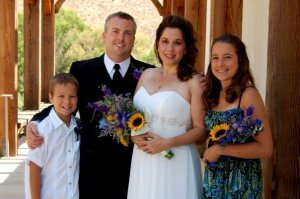 She lived and grew up in nearby Southfield Township, Michigan. Elsie graduated with the Class of 1944. 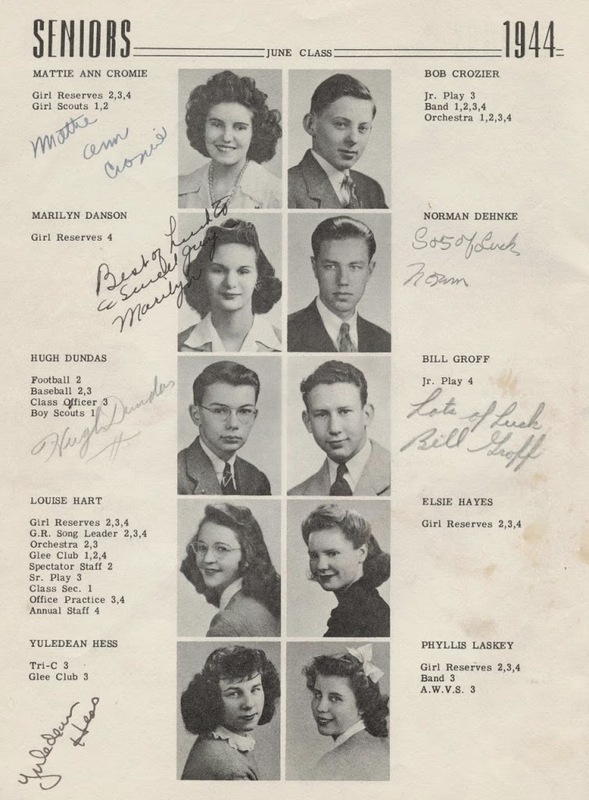 It wasn’t until after her death that I came across her high school yearbook in her old photos and papers. 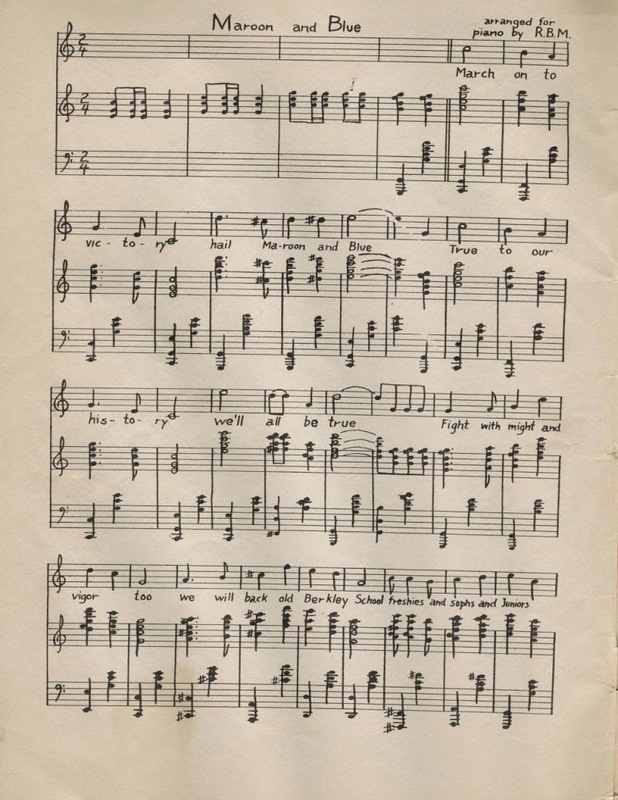 I have since given it to my Mom, but not before scanning some key pages. The front of Elsie’s yearbook. Title page of the yearbook. 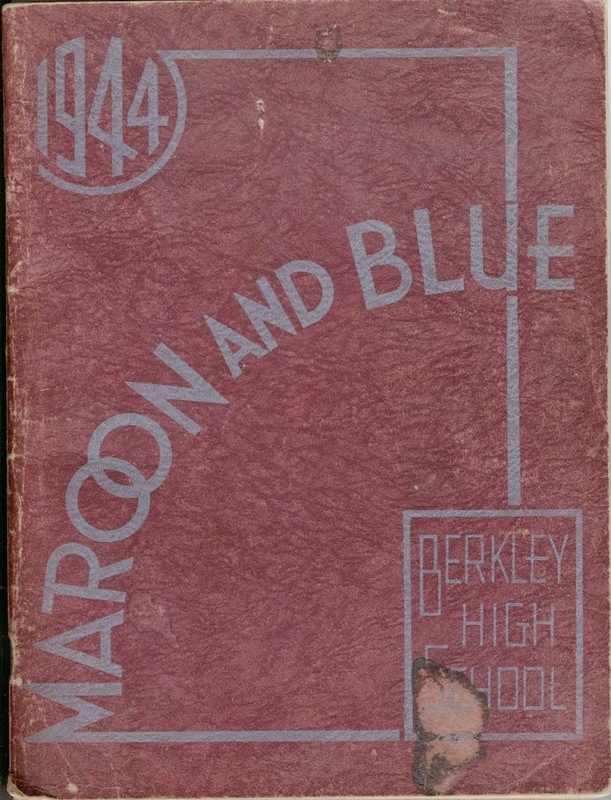 Berkley High was established in 1922, and Wikipedia mentions some sort of new school in 1949 (after Elsie graduated), but does not indicate if the school moved to a new location, if the old one was demolished and rebuilt, or if just new buildings were added. The actual school website is even less helpful, providing absolutely no information whatsoever about the school’s history. The City of Berkley has a city timeline (.PDF) on their museum page that provides a bit more info, but still no clarification if the current school site and any of the buildings are the ones that Elsie attended. 1919: Construction was begun on Berkley School on Berkley Avenue north of Catalpa. Looking at Google Maps, this location is across the street from the school’s present site. 1934: Berkley High School holds its first outdoor graduation ceremony at Angell School grounds for 54 graduates and 1000 attendees. Could this have been the venue for Elsie’s own graduation ceremony 10 years later? My grandmother is in the fourth row, on the right. 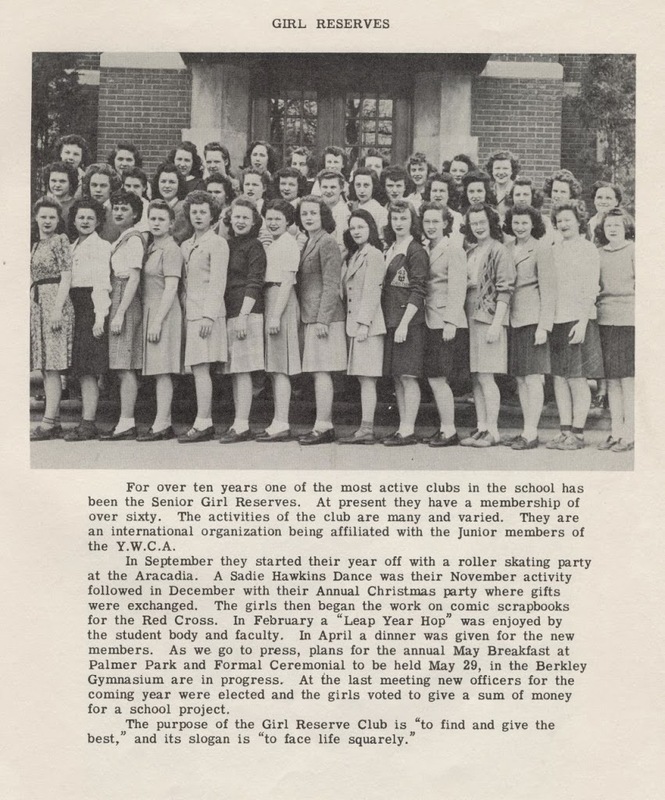 Elsie was part of the Girl Reserves her sophomore, junior, and senior years. She is in the front row, at the far left end. According to current school documents, the Girl Reserves no longer exist as a school club. 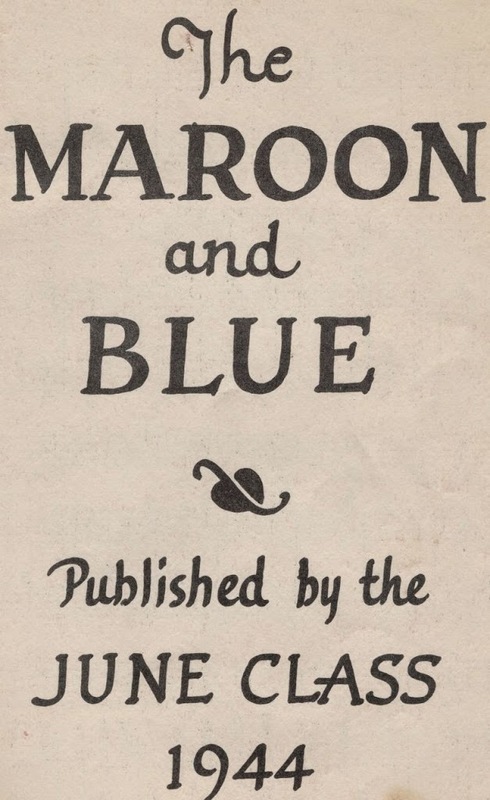 I remember Mom telling me, when I was a young girl, how Grandpa used to taunt Grandma by making fun of and singing her school fight song “Maroon and Blue”. I asked Mom why, not understanding why Grandpa was being mean, and Mom explained that Grandpa was not being mean. He did this out of jealousy and hurt (Grandma compassionately knew this), because he never had the luxury of completing high school, but wished he had. First half of the Berkley High fight song, “Maroon and Blue”. 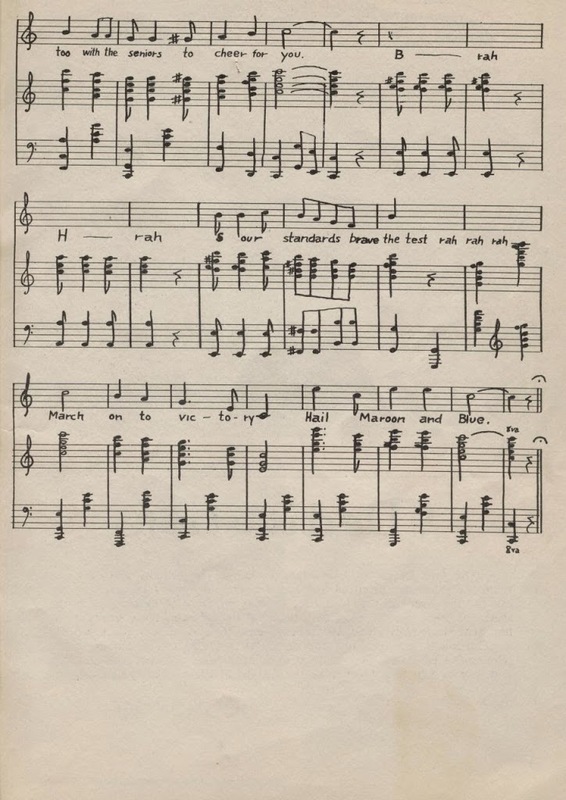 Second half of the Berkley High fight song, “Maroon and Blue”. To put Elsie’s high school years in historical context, the bombing of Pearl Harbor happened her sophomore year. The war ended in August 1945, 14 months after her graduation. Elsie must have lost childhood and high school friends in the war. 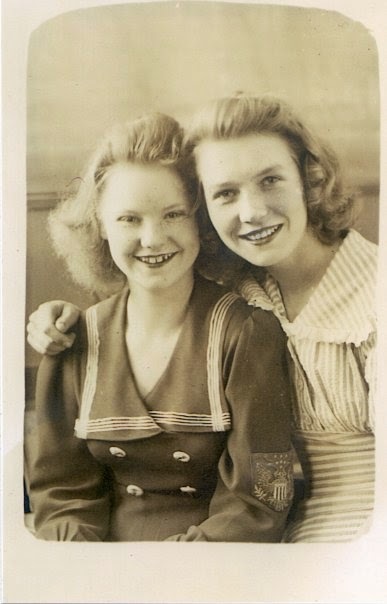 Sometime between her June 1944 graduation and June of 1946, Elsie moved from Michigan to northern California (I think Oakland) with her sister Cassie and Cassie’s family, where Elsie obtained work as a messenger for the Retail Creditors’ Association (according to her marriage certificate). On 22 June 1946, Elsie married Michael John Flanagan, whom she just met only one month prior.